Compared with traditional beauty companies, Glossier is different. You could argue that it’s really the first socially driven beauty brand, due to the way products are developed through crowdsourced feedback from consumers. It’s this kind of attention to detail and customer-centric approach that has ranked Glossier’s founder Emily Weiss amongst Forbes 30 under 30 and ultimately led to a $52m raise in VC funding. 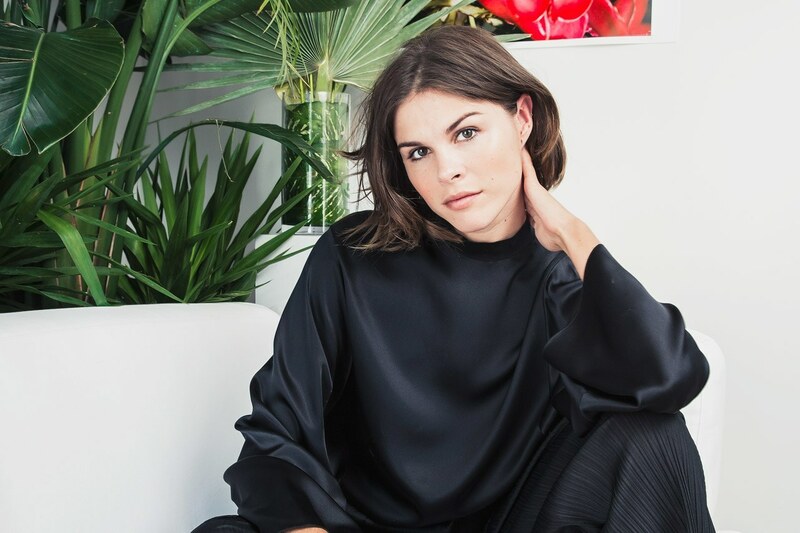 In 2010, Emily Weiss was a fashion assistant at Vogue Magazine when she started a side-project – a beauty blog called Into The Gloss. Bolstered by her connections in the fashion industry, she started profiling models, editors, stylists, and photographers about their beauty habits, recommendations, and rituals. It was a breath of fresh air for the beauty industry, showing that even the most fashionable folk use vaseline alongside high-end skincare products from Dior. Into The Gloss quickly amassed a large community of loyal and highly engaged readers. It was at this time that Emily started seeing a gap in the beauty marketplace. For her, there was clearly a need for a brand that young women could think of as a friend and a peer, rather than more brands that talk down to consumers. So in 2014, Emily used her audience to launch Glossier. When I started Into The Gloss, I wanted to make beauty as much of an element of personal style as fashion. As I interviewed hundreds of women, I became more and more aware of how flawed the traditional beauty paradigm is. It has historically been an industry based on experts telling you, the customer, what you should or shouldn’t be using on your face. From the success of Into The Gloss, Emily knew that the internet and social media, in particular, was giving women the ability to find information on really anything they wanted to know. So for Glossier, it was important to see every single one of their customers as their own expert. When it comes to tech, plenty of companies double-down on UX and focus on creating great experiences for end-users. 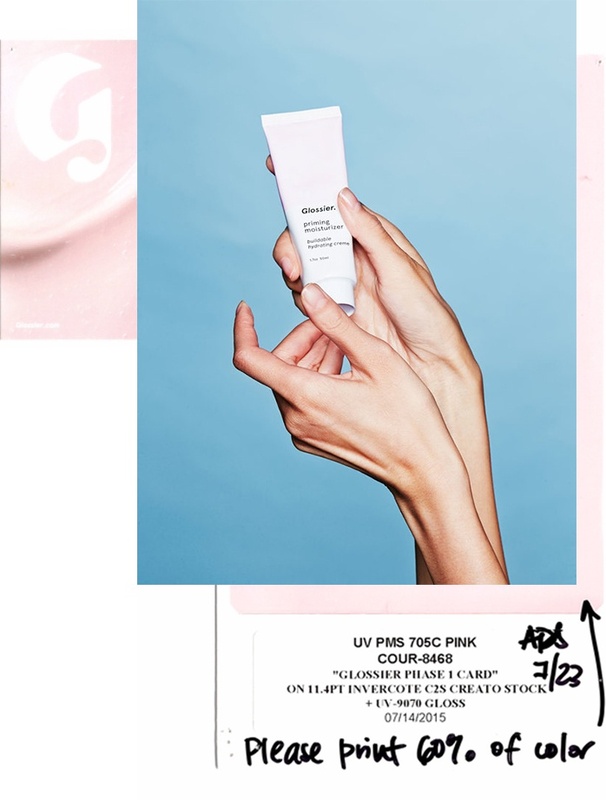 Glossier’s close-knit relationship and ongoing dialog with its audience is, without a doubt, one of the biggest factors driving the company’s success. When it comes to developing new products, Glossier reaches out to its community for their opinions on colors, textures, fragrances, shades and price points. And in doing so, they ultimately create consumer-led products that women actually want to buy. Traditionally, I’m not sure how beauty brands arrived at what products to make. For us, there’s really only one logical conclusion, which is: talk to people. I have plenty of opinions about what products I like, but what’s more interesting is having a lot of conversations, and what’s better than posting a question on Instagram and within 20 minutes having a thousand responses as to whether that red lipstick we’re working on is skewing a little too blue or a little too red? With Glossier, what their community thinks is everything. They even started working on travel sizes for some of their products because customers complained about the TSA throwing out bottles of Glossier product at airports because they were too big. From garnering feedback on their blog through to engaging with their audience on social media, Glossier positions their consumers as the experts, and a key part of the Glossier business model was to encourage customers to share with other customers. Whether that be through adding stickers to packages for customers to plaster all over their stuff or through creating a user-generated content campaign where readers of Into The Gloss could tag photos of their beauty cabinets with #ITGTopShelfie for a chance to be interviewed for the platform, it was all created with three things in mind. 1. To frame customers as experts. 2. To create buzz. 3. To position Glossier as an approachable friend. So it makes sense that Glossier created an affiliate marketing program where loyal customers are positioned as reps. Highly motivated users of Glossier are given a discount code to share with their networks in order to receive product credit and commissions for referring friends and followers who become buyers. It’s a pretty clever way to propel a beauty product if women are more likely to listen to a friend for recommendations. When Emily decided to capitalize on Into The Gloss’ unique position in the beauty space and launch Glossier, she had to acquire funding to make it happen, but 11 venture capitalists gave her a flat-out ‘no.’ She was persistent, and rather than being paralyzed by the rejection, she pushed for feedback and continued to trudge through the male-dominated world of fundraising. She eventually knocked on the door of San Francisco VC Kirsten Green in 2013, who says Emily is her best case study in having a gut instinct about somebody. It was at this stage where things ramped up quickly. By October of 2014, Glossier’s first four products were launched, and demand was off the charts. Very quickly, products would become sold out with consumers complaining that they couldn’t buy what they wanted when they wanted. At the start of 2016, Glossier had sold 12 months’ worth of product in just three months and waiting lists were in the 10,000s. Staff at Glossier still refer to this as “The Great Inventory Stock Out of 2016” around the office. To ensure the issue didn’t happen again, the company hired supply chain experts and worked hard to keep on top of inventory planning and demand forecasting. According to Glossier COO Henry Davis, this was a particularly hard lesson to learn. To keep up with customer demand, Glossier had to order more of literally everything they use to create products and work to reduce lead times when products were taking up to eight months to make. They explored how they could buy and store packaging and raw ingredients, so that they could have them on hand to make fresh batches of product as needed. The company also invested in new technology, which gave customers the ability to backorder a product so that it would ship immediately once available. Executive Director of Supply Chain, Youn Chang, told Delia Folk that a top priority is always ensuring the company doesn’t experience inventory issues again. Glossier works closely with vendors to ensure they have a good margin to support the company’s growth and shorten lead-time. 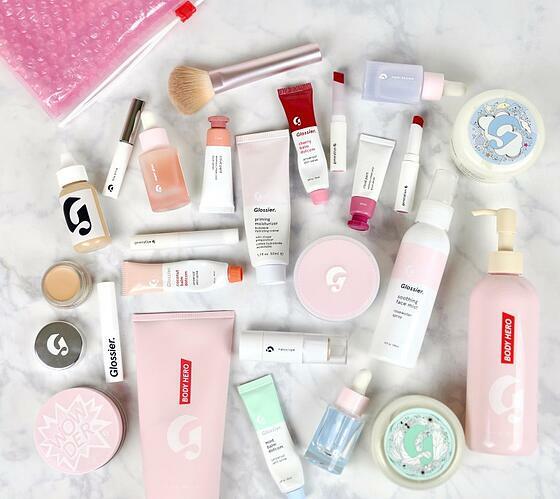 As Glossier grows and continues to expand internationally, the next challenge will be ensuring that the company is able to manage inventory efficiently across multiple locations and warehouses. While this sounds like no easy feat, warehouse inventory management software can make the process more of a frictionless experience. Speaking to Quartz Emily says successful entrepreneurs question anything and everything – if you really want to change the landscape of beauty, furniture or eyewear, then you need to reimagine the entire experience. You always hear that classic line “the customer is always right” and for Glossier, this rings true. If you’re going to invest in a user-centered service, product or design, then speak to your customers to understand them so that you can create a product and experience that they want to use or engage with. For Glossier, this involves recognizing that each customer is an expert in her own right. It’s understanding that every customer has a routine and a reason for the products that they use every day, and so when it comes to developing products, it’s important to draw on their expertise. Although it’s every brand’s dream to sell 12 months’ worth of product in just three months, no one wants to miss out on sales or create unhappy customers. It’s therefore important to hire supply chain experts and invest in technology solutions to keep on top of inventory management and demand forecasting. Think about it: if you were going to buy a blender, you’d probably head online to look at reviews first. By speaking to customers, featuring them in Into The Gloss’ Top Shelf series, and really listening to what they have to say, Glossier knows that when it comes to re-purchasing, reviewing and recommending products, they have a loyal customer base to vouch for their products. It’s these conversations supported by their backend systems and processes that fuel Glossier’s growth. Are you looking to better manage your inventory? 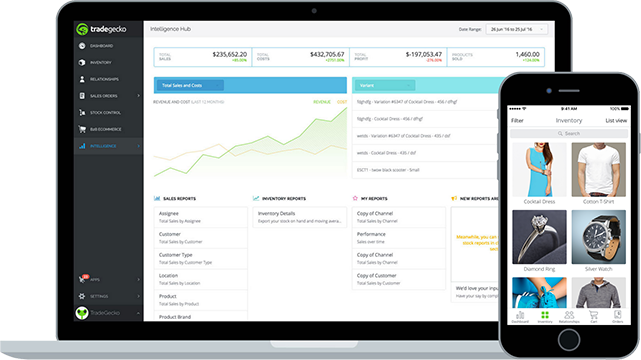 Start a free trial with TradeGecko. We run your back office, while you focus on growth.